Brompton by Sawdon is a pretty, unspoilt village characterised by stone-built farmhouses and cottages and a picturesque village green. It sits along the A170, roughly mid way between Pickering and Scarborough. The village is well-regarded within the area and benefits from a popular butcher’s shop, primary school and parish church. Most of the village lies within a Conservation Area and Brompton Beck rises towards the southern edge and feed into Brompton Lakes, making for a charming, pastoral scene. Both nearby towns offer a wide range of amenities including a railway station at Scarborough with regular services to the mainline station of York, from where London can be reached in less than 2 hours. 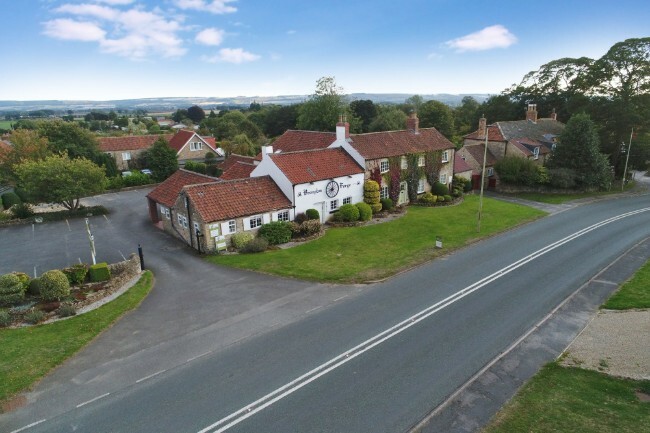 The A64 is easily accessible, some 3 miles south of the village providing excellent communications with the wider metropolitan area via the A1(M) motorway network. The Forge Tea Rooms are located in the centre of the village, fronting onto High Street and with a return frontage onto Hungate. The Forge Tea Rooms currently consists of a four bedroom village house along with a popular tea rooms and restaurant which has been established for over 20 years and enjoys excellent passing trade. 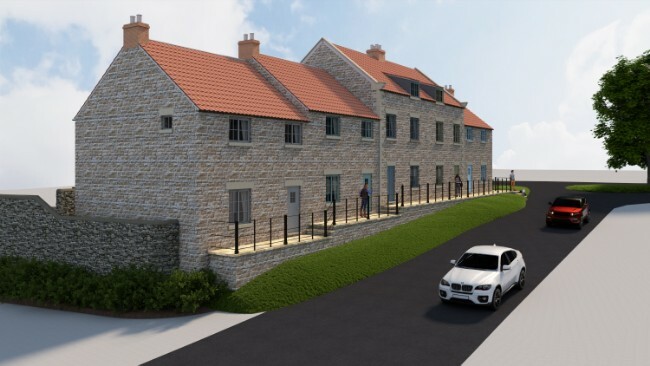 Full planning consent was granted in 2018 for redevelopment of the site comprising subdivision and re-modelling of the existing buildings to create two highly individual and attractive properties and the construction of 5 new dwellings along the frontage onto Hungate. 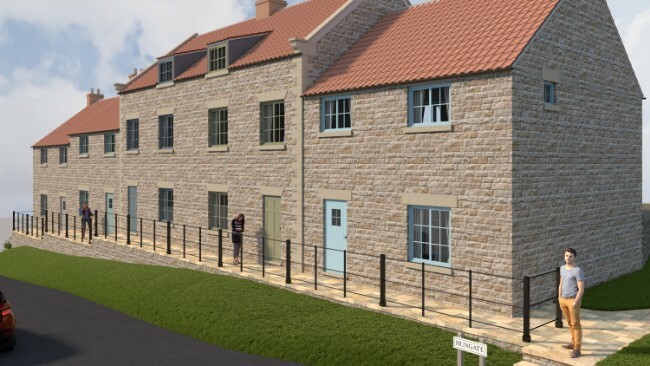 The new dwellings have been designed to take inspiration from the period dwellings within the village, having very traditional facades but with contrasting, more modern rear elevations. 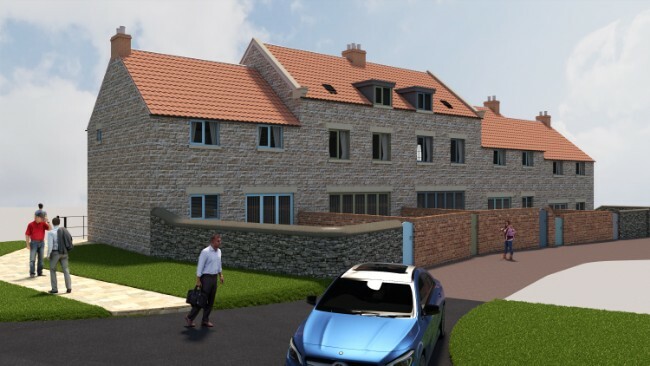 As part of the approved scheme, each of the dwellings within the new terrace will have their own car parking within open-fronted car ports and the two conversions will have their own garages. The existing vehicular access is to be retained, to create a courtyard which will serve all 7 units. Development opportunities of this type are increasingly scarce and it is worth noting that none of the dwellings are subject to any kind of occupancy condition or affordable housing contribution.